It’s elation and excitement in the Himalayan state of Sikkim. Thanks to the central government, the 17th Karmapa Ogyen Trinley Dorje is finally visiting the state, albeit with a rider that he would not go to the Rumtek Monastery, the seat of the 16th Karmapa in exile, which is a subject of legal contest, given the three claimants to the throne. As the long-pending demand of the Sikkimese people is finally being addressed, the entire state has expressed happiness, with the ruling Sikkim Democratic Front (SDF) welcoming the Centre’s decision. “The SDF party has been raising this issue with the Centre for the past several years. Thus, we feel it is the result of the dedication of our party leader and Chief Minister Pawan Chamling, due to which the dream of the Sikkimese is going to come true,” the party said in a press release. “We heartily welcome His Highness Karmapa to Sikkim and thank Prime Minister Narendra Modi and his government for allowing him to visit the state,” it added. Other political parties of the state also welcomed the decision and expressed happiness and gratitude towards the central government. 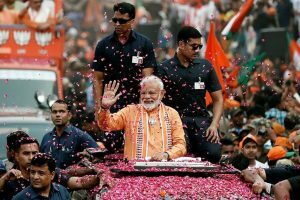 It may be mentioned here that the MLA from Sangha constituency in Sikkim, Sonam Lama, yesterday said that the Cabinet Committee on Security (headed by Prime Minister Narendra Modi) had given the approval. He, however, also said that the Centre has restricted the Karmapa’s visit to Rumtek monastery. “Apart from Rumtek, he can visit any part of Sikkim,” Mr Lama said, adding that the Karmapa should be in the state either in the last week of April or the first week of May. Members of the ‘Karmapa to Rumtek Joint Action Committee’ also welcomed the decision. “This has become possible because of a united effort out in by everyone in the state. We all should congratulate each other and celebrate this joy together. However, we are yet to get (an official) notice to this effect. Once we get the notice, we will work on the Karmapa’s visit to the state as early as possible,” the committee told a press meet here on Friday. MP PD Rai also tweeted that the ‘Clearance for HH Karmapa Oygen Trinley Dorji’ to visit Sikkim has been granted and that he needs to thank Home Minister Rajnath Singh, PM Narendra Modi and Chief Minister Pawan Chamling for this. “People very happy at this outcome which is a non-partisan demand for many years,” he said. 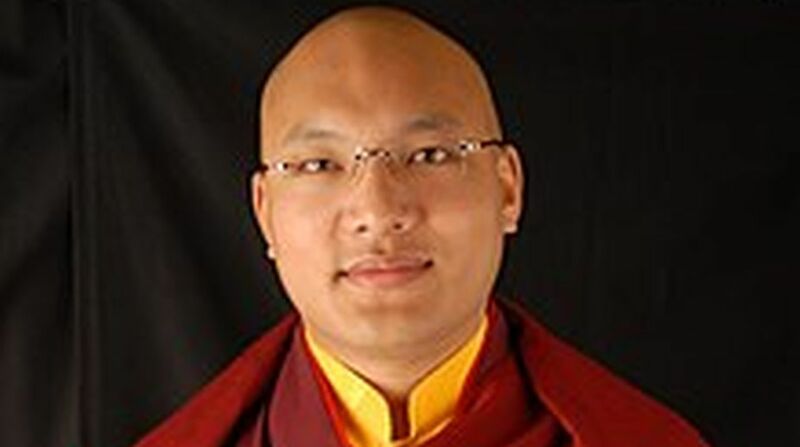 The 17th Karmapa, the head of the Karma Kagyu sect of Tibetan Buddhism, has been surrounded with controversies. Ever since the 16th Karmapa, Rangjung Rigpe Dorje died in 1981, two candidates have staked claim as the head–Ogyen Trinlay Dorje, and Trinley Thaye Dorje. Both the claimants have been enthroned as the 17th Karmapa and both have been independently performing the duties as the Karmapa.